William B. McGregor is Professor of Linguistics at Aarhus University. He is the author of a number of publications including most recently, Linguistics: An Introduction (2nd edition) published by Bloomsbury in 2015. Unlike the majority of functionally oriented theories, Systemic Functional Grammar and its congeners – referred to as Neo-Firthian theories – have evinced little interest in linguistic typology, and have made but minimal impact on the discipline. This book addresses these lacunae from two complementary perspectives. First, some inadequacies of the dominant “atheoretical” approaches to linguistic typology are identified, and it is shown how these can be circumvented through a firm foundation in a Neo-Firthian theoretical framework. Second, it is contended that Neo-Firthian approaches must take typology seriously as a criterion of theoretical adequacy, and be able to account for the full range of grammatical phenomena and their variation across languages, as well as those features that are universal. The argument proceeds through case studies of a selection of grammatical phenomena, in particular, grammatical relations, the noun phrase, complex sentence constructions, optional case marking and grammatical classification. Given the paucity of Neo-Firthian informed typological investigations, the book is largely programmatic, and points to potential mutual enrichments of linguistic typology and Neo-Firthian theories. The book is of interest to linguistics working within Systemic Functional Linguistics and other functional theories, as well as to typologists. Despite some claims to the contrary (e.g., Caffarel, Martin et al. 2006; Mwinlaaru and Xuan 2016), unlike the majority of functionally oriented theories, Neo-Firthian theories – including Systemic Functional Grammar – have shown little serious interest in linguistic typology and have made at best a limited contribution to the discipline. This forms the backdrop to the dual aims of the book, namely to enrich Neo-Firthian theory with typology and to enrich linguistic typology with Neo-Firthian linguistics. 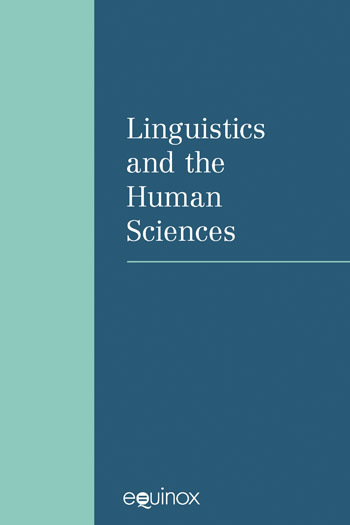 This chapter introduces linguistic typology and universals and some of the major approaches in the discipline, and suggests that a major inadequacy of much of linguistic typology as it is currently practiced is its avowed atheoretical stance. It is proposed that Neo-Firthian theories offer a firm base for typology, and the major defining characteristics of typology as conceptualised in a Neo-Firthian approach are identified; I also overview the existing contribution, such as it is, of Neo-Firthian theories to typology. This chapter also identifies Neo-Firthian theories, and situates them in relation to other functionally oriented theories such as Cognitive Grammar, Construction Grammar, older West Coast Functional Grammar, Role and Reference Grammar, and Functional Discourse Grammar. This chapter also discusses methodological challenges to Neo-Firthian typology and the significance of the exceptional and unusual in linguistic typology and theory. As the first case-study I take a domain that has attracted considerable interest in linguistic typology, and which epitomises the inadequacies of the “atheoretical” or “theory neutral” approaches typical of present day typology. This is the domain of grammatical roles and clause transitivity. I outline the received approach to these domains in linguistic typology, which assumes three universal primitives, S, A, and O, and attempts to account for grammatical relations cross-linguistically in terms of so-called alignment theory, which is concerned with how S, A, and O are grouped together in particular languages. This approach is subjected to critique (much of which has been common knowledge for a very long time, though conveniently swept under the carpet), and an alternative is suggested that begins with language-particular categories. I demonstrate the advantages of this approach, and discuss how typology can be done from this perspective. A somewhat less well researched domain in typology concerns the category of noun phrase (NP) and its status cross-linguistically. Beginning with Hale (1983) the universality of the NP has been questioned, and a distinction drawn between configurational and non-configurational languages depending on whether or not the category of NP is motivated. (The contrast has been construed in other ways as well, e.g. in terms of the categoriality of the verb phrase, but the NP-based interpretation is widely employed.) The distinction between languages with vs. without the NP category has been widely accepted in linguistic typology and language description. Modern Indo-European are seen as typical examples of languages with the category NP, while Australian languages are widely believed to lack it. In this chapter I draw in particular on descriptive work of my own (e.g. McGregor 1989, 1990, 1992, 1997) and recent work by Jean-Christophe Verstraete and Dana Louagie (Louagie and Verstraete 2016; Louagie 2017) to argue for the universality of the noun phrase category in Australian languages. I stick my neck out, and suggest that the considerations invoked in these works call to question the existence of languages without noun phrases. The NP is accordingly proposed as a linguistic universal. Complex sentence constructions have been extensively studied in linguistic typology, and a wide range of typologies have been proposed. A serious limitation in this work has been the lack of attention to grammatical structures in the complex sentences, and the tendency to assume categories of traditional grammar. Neo-Firthian approaches – including Systemic Functional Grammar – have made notable theoretical contributions, and have provided depth descriptions of complex sentence constructions in English in particular. This chapter will argue that the fundamental features of the Systemic Functional Grammar theory of clause combination can be employed in a typology of complex sentence constructions that goes well beyond the standard typological accounts. 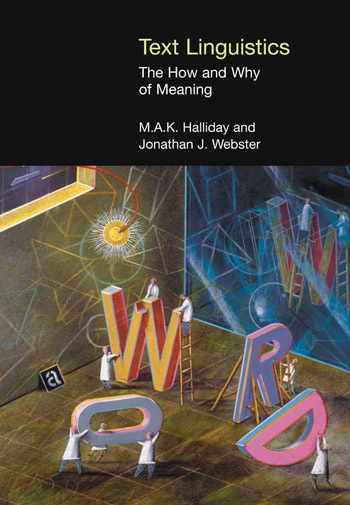 In particular, it will be argued that distinct grammatical types of complex sentences can be identified cross-linguistically in accordance with Halliday’s metafunctions – which I refer to as semiotics or semiotic types – in particular the experiential, logical and interpersonal. This provides a universal framework within which the typology of complex sentence constructions can be investigated, and for an informed analysis of the grammatical structures involved. The case studies of this chapter and the next concern grammatical phenomena that have attracted little interest to Neo-Firthian linguistics, even though they are not unusual. Chapters 5 and 6 turn the tables on Chapters 2–4 by identifying some challenges that typology and language description present to Neo-Firthian theories – challenges that must be met if the theories are to claim adequacy. That case-marking of certain argument roles is optional in a number of languages has been known for a long time, and descriptions of particular languages not infrequently remark on the phenomenon. However, work in this domain has been typified by a dearth of ideas and explanations of meaning and/or motivation of optional case marking, and descriptive grammars habitually trot-out commonly employed explanations that do not withstand empirical scrutiny. Linguistic typology has correspondingly been silent, and little work has been done on the typology of optional case marking other than my own work (in particular, McGregor and Verstraete 2010; McGregor 2013) and that of Jean-Christophe Verstraete and his former student Stefanie Fauconnier (e.g. Fauconnier and Verstraete 2010; Fauconnier 2012). Other than the work just referred to, Neo-Firthian approaches have likewise said nothing about optional case marking, or indeed anything significant about optional grammatical marking of any sort. This chapter presents a theory and typology of optional case marking, which is based on the notions of grounding and joint attention. I conclude by suggesting that this typology can be extended to optionality in other domains of grammar (e.g. optional complementisers, optional definiteness markers, optional person and number markers). In contrast to optional case marking discussed in the previous chapter, a considerable amount of work in linguistic typology and descriptive linguistics has addressed systems of noun classification (noun classes or genders, noun classifiers, numeral classifiers, etc.). Somewhat less well known and less well developed in typological linguistics is the existence of corresponding systems of grammatical classification in the verbal domain. I suggest ways in which the phenomenon of grammatical classification in its range of typological variation can be accounted for within a broad Neo-Firthian framework. I argue in particular that it implies the need for a theory of grammatical marking, and outline some features of such a theory. In this final chapter I overview how and where the contributions of typology to Neo-Firthian theories, and of the latter to the former, can be made, reiterating and expanding on why it is that typology is important to Neo-Firthian theories, including Systemic Functional Grammar. I also identify a selection of additional domains of typology for brief discussion in relation to Neo-Firthian theories, including: phonological typology, morphological typology, word order typology, lexical typology, typology of possession, typology of tense mood and aspect, semantic typology, and the typology of parts of speech systems. Finally, I discuss the relevance of a Neo-Firthian-inspired typology to linguistic theory, description, and documentation, diachronic linguistics (including grammaticalisation), and cognitive science – and here I comment critically on the claims of Evans and Levinson (2009) which apparently deny the existence of significant linguistic universals. Also dealt with in this chapter are explanations for typology and universals.